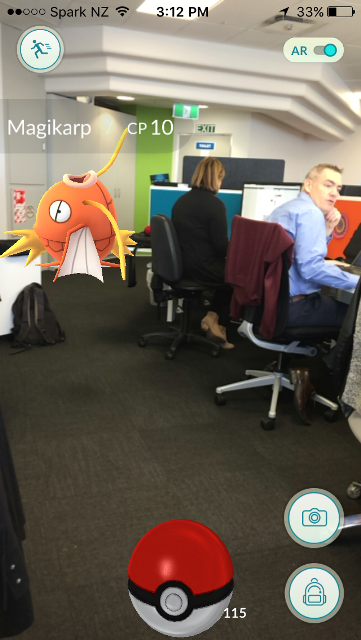 Pokémon Go is in people’s houses, workplaces and sometimes the middle of the street. The phenomenon is causing people of all ages to don their shoes, grab their phones and wander their neighbourhoods in search of these mysterious Pokémon. If you haven’t heard of it yet, Pokémon Go is a mobile game based on the Nintendo game released 18 years ago. Utilising GPS and google maps, players roam the streets in search of creatures called Pokémon. Once caught, these Pokémon can be battled at gyms to allow the player to gain points and prestige. The popularity is evident in the hordes of players out on their adventures and the servers crashing due to loading problems. But why has this game taken off and how can we replicate this effect in other mobile games? The Doblin 10 Types of Innovation is a framework to understand why Pokémon Go is so disruptive. The framework outlines 10 areas in which a business or product can be innovative. To be innovative in a particular type of innovation, the business or product must be doing something different compared to similar companies in its industry. Comparing Pokémon Go to Uber wouldn’t be effective as they are in different industries, even though they utilise similar technology. Pokémon Go is a joint venture between Nintendo, the original creators of the Pokémon game series and Niantic, a former division of google and creators of the mobile game Ingress. Niantic has provided the gaming platform while Nintendo provided the brand. The relationship between these two companies is an excellent example of network innovation. The Pokémon brand has significant loyalty and reputation with people who were born in the ‘90s. Speaking from my own experience, as an eight-year-old, there was nothing more I wanted than to be able to catch Pokémon in real life. Over time brand recognition orf Pokémon has diminished as the popularity of the Nintendo platform decreased. The re-imagining of the Pokémon game onto a mobile device allows players to live out childhood dreams. The use of the Pokémon brand in this way would be considered an example of brand innovation, harnessing the existing brand recognition and leveraging it. One of the possible goals for the game is to capture all 150 Pokémon. In order accomplish this, a player must leave their house or office and travel to different areas of their city. 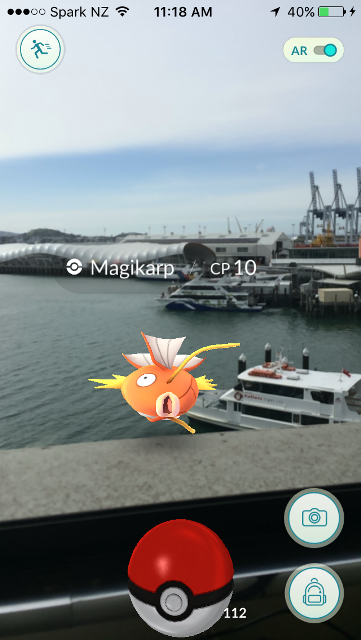 To help players communicate where rare or exciting Pokémon are in the cityforum pages and Facebook groups have sprung up in regions (such as Auckland, Wellington and Christchurch). These groups allow players to meet and go on Pokémon adventures or “defeat gyms”, creating real-life player interactions. The effect of pulling players out from behind the screen, interacting with the world and people around them is not a norm in the gaming industry, and is a fantastic example of innovative customer engagement. The Pokémon brand already has an existing product system. There are 27 different games for the Nintendo handheld game devices (3DS), dozens of TV series, movies and every sort of product thatPikachu can be placed on. Still Pokémon Go is able to add yet another product into the system. A unique device, called Pokémon Go Plus is able to be brought for US$34.99. It enables a player to play the game while their cell phone is still in their pocket. This add-on is one example of product system innovation and with experience Nintendo brings to the table there is bound to be more Pokémon Go add-ons to come. What can NZ businesses learn? Many people may think that Nintendo could have simply moved the existing games away from the 3DS, onto a mobile phone and still have been successful. This would only be a product performance innovation. While Nintendo may have seen a temporary increase in game sales, this move is unlikely to have brought the high number of players we are observing on the street. Particularly as the original versions of the game are able to be played on android devices and have been around for a while. The lesson to be learnt from the incredible uptake of Pokémon Go is that disruptive innovation cannot rely simply on the improvement of existing products. The 10 Types of Innovation framework puts forward an argument that in order to be successful innovation a company must be innovative in at least three or more types. In my opinion, Pokémon Go has been successful across at least 5 areas of innovation, and a deeper knowledge of how the company functions internally could reveal even more. The goal is not to simply replicate the relationship between augmented reality, GPS and game play for new games. But to look at existing games and explore if there are ways to disrupt the known. This post was originally published on Callaghan Innovation's Disruptive Influence blog.